Below, I’ve compiled a list of techniques I personally know of being utilized in the industry. It is by no means comprehensive, but is one of the most complete lists I’m aware of. I’ve tried to keep each technique as mutually exclusive as possible. and … the person who submits the most new link building techniques by February 1st 2009, that ultimately get incorporated into this document (again, at the sole discretion of SEP), will be awarded $250. 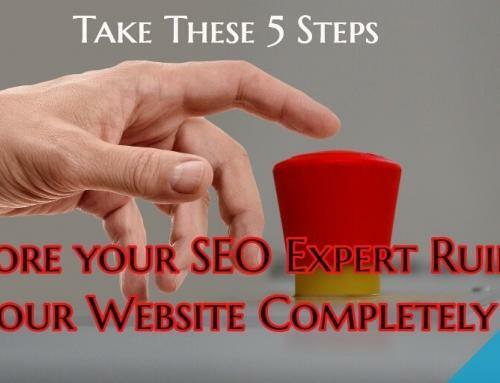 Some of the techniques mentioned in this document are not condoned by SEP or the search engines, but are listed only to add to the comprehensiveness of the document. Only you know your own risk tolerance, and so must make the decision regarding tactics yourself. Each of the techniques below, assumes a basic knowledge of the use of NoFollow tag, robots.txt exclusions, and the identification of bad neighbourhoods. 2. build fun or helpful widgets relevant to your business or industry (ie. mortgage calculators, body mass index calculators, how much is my blog worth, etc.). 7. write and release an ebook eg. How to SEO Your Site in 60 Minutes by Matt McGee, The SEO Handbook - 2008 by Dave Harry. 16. comment on the blogs of others in your industry, or those of related sites. 17. send samples of your product to industry bloggers and ask them to try the products. If they like them, they may write about them. Of course the risk is, if they don’t like them, they may write about them too. 18. participate in surveys or group projects. 26. make a financial contribution to your college or university. Often this results in a dofollow link acknowledging the contribution. 28. use ppc to drive qualified searchers to your quality content, knowing a % will link. 31. search for sites with dofollow ‘trackbacks’ and link to some of their blog posts. 32. carefully select your friends on social media (eg. Digg, Stumbleupon, Delicious). If they work for media (eg. newspapers, magazines, radio stations, etc.) cater the content to their apparent interests. I’ve had content mentioned on radio shows before (and linked to from the radio’s website), merely by knowing to put a ‘conspiracy’ spin on the science content. 34. submit to nofollow social media too, if the content is really good. If it goes hot, it will be seen by large numbers of people potentially, and will typically result in a number of good links. 36. maintain profiles on RELEVANT social media sites with DoFollow profile pages, and heavily link those pages with other pages from the social media site (ie. lots of friends, lots of activity). 38. always carry a camera, capture interesting photos, and post them to the site and Flickr using Creative Commons licensing (requiring links back to your site). 39. include links in the footers of your RSS, so content scaped from your site contains links back to you. 40. rent some links from companies like Text Link Brokers. Be careful though. 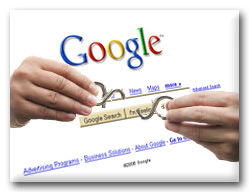 Google will penalize both the selling and buying party for paid links. 41. strike a deal to purchase a text link ad on relevant pages of a related site. Best if the link is from within a site’s actual content. 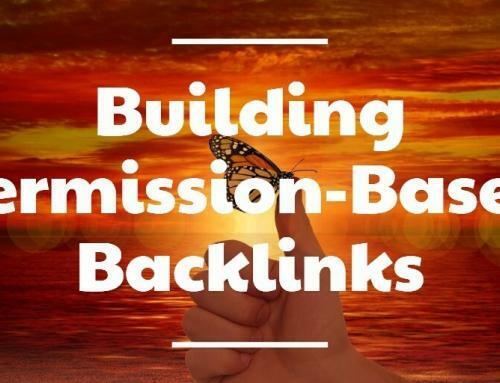 43. as Aaron Wall and Andy Hagans have suggested from their post 101 Link Building Tips to Market Your Website (points 62 and 63), sue a large company (get the David vs Goliath element working in your favour) or get sued by a company that people hate. Genius! 44. interview industry personalities, and post video and text versions to your blog. Others are always interested in what they have to say, and often will find reason to link to something they’ve said. 45. speak at industry events, especially if you know they offer dofollow profiles and linkbacks for such speakers. 46. apply for awards. Even if these sites do not link back to your site, news of winning awards can often be good linkable content for local media. 47. join a number of local organizations such as the local Board of Trade. Often, these sites provide dofollow member directory links. 48. offer a discount or free product samples to others who blog about your product. 53. create an industry group or panel, complete with its own website. Often competitors will not link directly to you, but they will link to sites that link to you! 54. find pages that link to you that are not in the indexes of search engines, and are not noindexed or blocked by robots.txt, and link to those pages so spiders will follow them and find the links pointing back to your site. 56. there are a number of wiki types sites on the internet, that will provide link backs if you add good quality content to their sites. 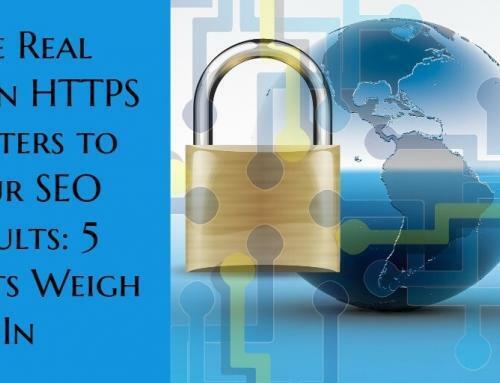 59. provide a link (from a specific content piece) to a particular site that you wish to receive a link from, and send them large volumes of traffic. Often, this will be enough to capture their attention, and link back to your post on the subject. 60. attend related conferences and network, network, network. People are camera crazy these days, and will post pictures of most of the people the meet, often complete with links back to your site. 61. develop relationships with local media personalities, such that you are their ‘Goto’ person when they need information on a given subject. 62. some sites have a “See Us In The Press” page. When you find such sites relating to your industry, write something about them. Often, they’ll pick it up and post it to their site … everyone like to show off their cudos. 66. submit videos to tv channel websites (thank you for this idea Melanie Nathan) and be sure to include relevant text links. 67. point out errors (spelling, grammatical, coding) on sites where you’d like a link from. Often, thanks is provided in the form of a link. 79. buy paid links to promote linkbait pieces … courtesy Slightly Shady SEO, and Gab Goldenberg @ Link Building.ca for bringing my attention to it. 81. hunt for dying blogspot sites registered through hotmail addresses, then see about getting the hotmail addresses and taking over the blogs … courtesy Oilman and Gab Goldenberg @ Link Building.ca for bringing my attention to it. Please Note: many of these techniques are not condoned by Search Engine People Inc., though have been included in the interest of comprehensiveness. ps apologies Wiep … this list was already well under way when you posted yours. Besides, I think we’ve touched on some different aspects. I think submitting RSS feeds to RSS directories isn’t a good idea. It might cause a duplicate content issue. Thank you for an outstanding list of link-building techniques. If a small business doesn’t have a marketing plan, they could use this as a road map. You may want to create a printable PDF chart and share as well, which will surely increase incoming links! Viewers may also be interested in ProspectMX’s Link Building Chart. Thanks, Jeff! I’ll be referring back to this and sharing. May I add my list of RSS directories and blog directories for reference? @ Dana – great idea re: the printable pdf. Thanks for the suggestion Dana! I will do that after I incorporate some more ideas from others. Very impressive list that will help anyone looking for some new ideas to build links. I’ve got some more ideas to add to my own blog now. Thanks for sharing! I like the BBB idea – I’m going to look into that right now! Great list, Jeff! Definitely keeping this for reference! BTW, adding RSS feeds to RSS directories is mentioned twice. -Hold a blog carnival on a relevant topic. Participants will link back to you. -Create profiles on Slideshare and Slideboom and upload your PPT presentations. Add your website link to your profiles. -ASK! 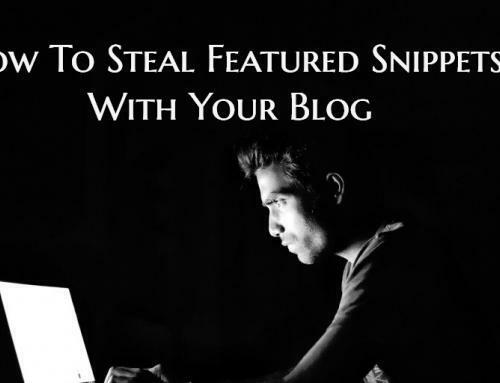 Do a little blogger outreach and send good, personalized pitches to them. You may be surprised how well it works. Fantastic work Jeff…you’re putting me to shame. I got to put all my findings in one giant list for the new years..in fact I’ll make that my resolution. Numbers 49 & 75 are basically the same. @ Matt … thanks! There are some good ones here. @ Marcus … BBB is a good one. @ Karl … thank you for bookmarking and the suggestions! @ Ryan … looking forward to seeing your list! @Wil … thanks for the additional widget directory! @ Ray … thanks. I see it now! Please suggest me, Which strategies I use for country specific traffic? Good work man, you have really given a good work for all of us SEO. i really thank you for giving such a good ideas. Amazing list. Thanks for the efforts for compiling it. I am pretty sure it will be hard to find some uncovered techniques, but prizes for competition are worth of such brainstorming. Comprehensive lists such as this let site-owners know that there are numerous items they could be working on. Most site-owners would recognize numerous items on the list that they had not tapped into yet, and one of them could serve as a springboard for their next campaign method. What a great list! There are so many key steps listed here. Thanks so much for sharing. This is a great list. I’m already doing many of the things on this list actually. Wow, pretty exhaustive list! Now we need to find 1 site that has implmented all 77 suggestions! I am using a few of the techniques documented in here but there is a vast amount that I’ve not implemented yet. This is a great overview of methods which is definately worth a lot of consideration. Impressive list.I use forum commenting and blog commenting as a daily link building routine.It build up over time. Thanks for putting together such a phenomenal list. This one is definitely one to be filed away for repeated reference purposes. The most comprehensive post on link building strategist i ever read. Thanks for posting. How is releasing a WP plugin with a link back to your site is black hat? Surely you need to create such a plugin that’ll show a link to your site, be it for more info or an attribution. Don’t see anything black hat here, unless you are knowingly inserting anchor links, where they shouldn’t be (on plugin users’ pages). Just to add up on the point 63. which is forum commenting. If you have your comments placer already in forums, if you have a new web site then you just need to change the signature. All signatures on previous posts will be updated wit a link pointing to your new site. First of all I would like to thank you for that comprehensive list. I think that would give everyone a least a few ideas to implement. Secondly are there any of these methods that you expect to be declining in effect in the coming year? And to just add to Biz’s comment it is important that you check that the forum uses a do-follow on the links in the signature as some forums will not. There is not point (unless for direct traffic of cause) in spending time commenting to get links from a no-follow forum. that is a great list. Great list of ways to get links. I’ve printed it so I can work through it. One thing that I do is provide a list of dofollow blogs. I’ve linked to that page above. I took a break over the holidays and am wading through my RSS reader … terrific post. I like #72 … instead of asking for links “cold” you’re leveraging existing awareness. I’ve followed your list of backlink ways. But not at all. I do what I can do. And I wanna ask about point #56. What is wiki site? is it same with wikipedia? how can I get list of wiki style site? Awesome list of link building techniques, you really put massive effort here .I think most of us are not aware of few of these techniques .This list will definitely help all link builders in a great way. Wow.. you’ve really put together a very nice list of link building techniques. Thank you very much, you’ve definitely enlightened me! Great list, luckily I am doing most of them. Great post bro! Thanks for all the value and information you add to the industry. 7) When dropping a link to your site in forums, include some related resources so it’s less obvious you’re being self-promotional and so that you add value – these links are more likely to stick. 8) Create forum profiles called “~!” – they show up on the first page of vBulletin’s member lists, which are indexed, and can get your profile (and its link to your site) indexed. 9) Both a linkbuilding and reputation management tip: use a bot to register your trademarks on relevant social media sites as profiles. Also helps prevent phishing. 10) Create geocities, tripod and aol memberpages accounts so you can give yourself guestbook links. 11) Don’t buy links from sites with dumbass footprints (“advertise here” “our sponsors” etc.). 12) Submit link building ideas in comments. You can make out those attribution links to link building.ca, please :D.
Such a brilliant list, there are not many methods left uncovered. I can see why you’re offering a cash reward for more link building methods! 😉 I will provide a link back to this, many thanks. This is extremely useful stuff. It is great content for an ebook on the subject. Give me a shout if you’re interested in a JV. I’m a copywriter, trained by one of the best in the business. for point 37 You could use olddomains.net database to find dropped domains with backlinks for free. Great Tips. The one thing, I haven’t done and have been meaning is creating helpful widgets. One of those things I keep putting off. But after reading this it is going to the top of my to do list. Never thought of adding to the BBB list. Going to make that my second to do. Thanks again. Love the communication on this blog as well. You must have the highest page rank in history. Great article, it covers everything about link building. I am eager to see who is going to win $250 and give some more ideas. There are certainly quite a few useful tips. Thank you for compiling a lot of information in a useful format. Hi Jeff I’ve read your link building techniques and I might use them in my link building campaign. Some of them are new to me.Very informative topic. Can I collect my prizes, please :D? Some great ideas here. Clearly some of the readers missed the most valuable opportunity which is evident by their posting a response without a link! Oh wow. I think im gonna take some idea’s from here! You do have some very good ideas! 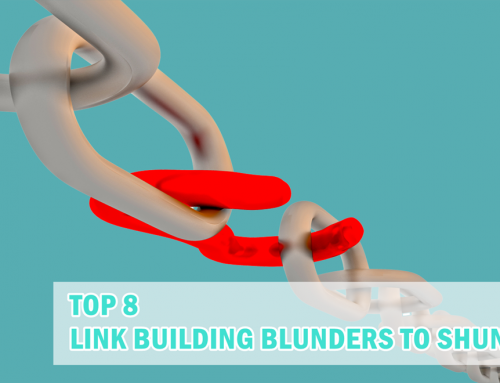 For my job, i do al lot of linkbuilding, and some of these tips can be very helpful!